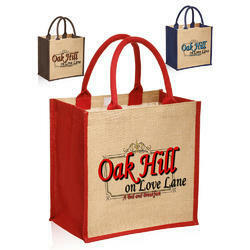 We are one of the prominent manufacturer of Jute Bag. Our company Rainbow Creations has established itself as a leading manufacturer, supplier and trader of superior quality Jute Bag. 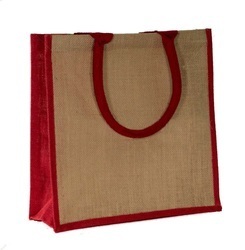 These bags from our side come in different sizes and manufactured using finest quality of jute that makes them last long. These come in attractive prints and can be used for variety of purpose such as shopping, gifting, carrying of goods, storing and many more. These are made available from our side as per the set industry guidelines and at extremely affordable rates as well. Available In Zip And Without Zip. We are pleased to offer an interesting collection of Jute Hand Bag, which is available in a variety of designs, sizes, colors and patterns. Our offered bags are designed and crafted in such a way that these bags go well with any kind of attire. Furthermore, these are also designed to lend an elegant look to the consumer belonging to any age group.